Save yourself time and money with a London theatre break by rail from Durham. Booking a Durham theatre break to London by train means that you can travel from the historical city in the North East to the heart of the West End in under 3 hours. 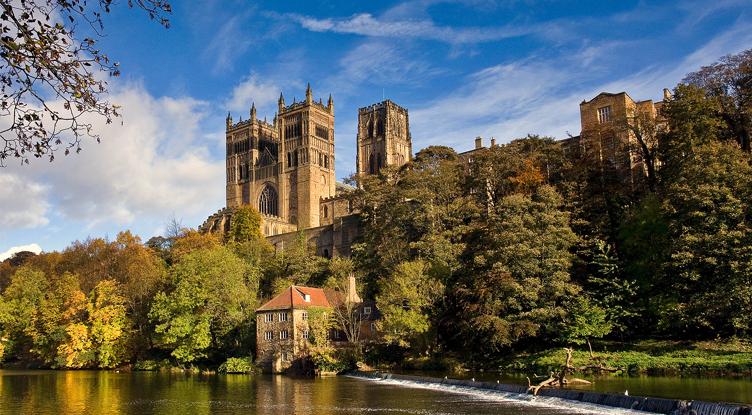 Hop on the train at Durham and enjoy a London theatre break by train for less. Whether you want to be transported to Pride Rock with The Lion King, become a dancing queen at Mamma Mia!, or join the revolution with Les Misérables, Show & Stay have the perfect London theatre ticket, hotel and rail package to suit you. And with London hotels never more than a mile from the West End, you can enjoy the magic of a West End musical long after the curtain falls. Booking your rail travel to London from Durham with your theatre tickets and London hotel stay can save you up to 50% on your train fares, so you can sit back and relax as the world passes you by. Choose from one of our best-selling West End shows or be inspired by the wide variety of shows we have on offer. Booking your rail travel to London from Durham can save you up to 50% on your rail tickets and will really make your free time count  which show will you pick? Be whisked to the heart of the West End in under 3 hours on your theatre break by rail from Durham.